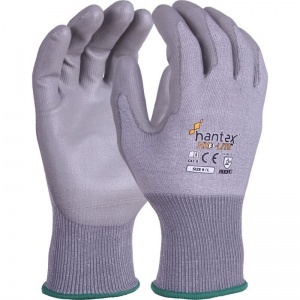 Promising to be a pair of the most comfortable cut level 3 gloves that money can buy, the Hantex Lightweight PU Palm-Coated Handling Gloves HX3-Lite utilise an ultra thin 18 gauge liner that works to reduce hand fatigue and prevent overheating during use. Despite their light and thin design their mechanical resistance isn't compromised, with a PU palm coating offering a strong level of grip that makes these gloves a must have for tasks such as assembly, maintenance and warehousing. 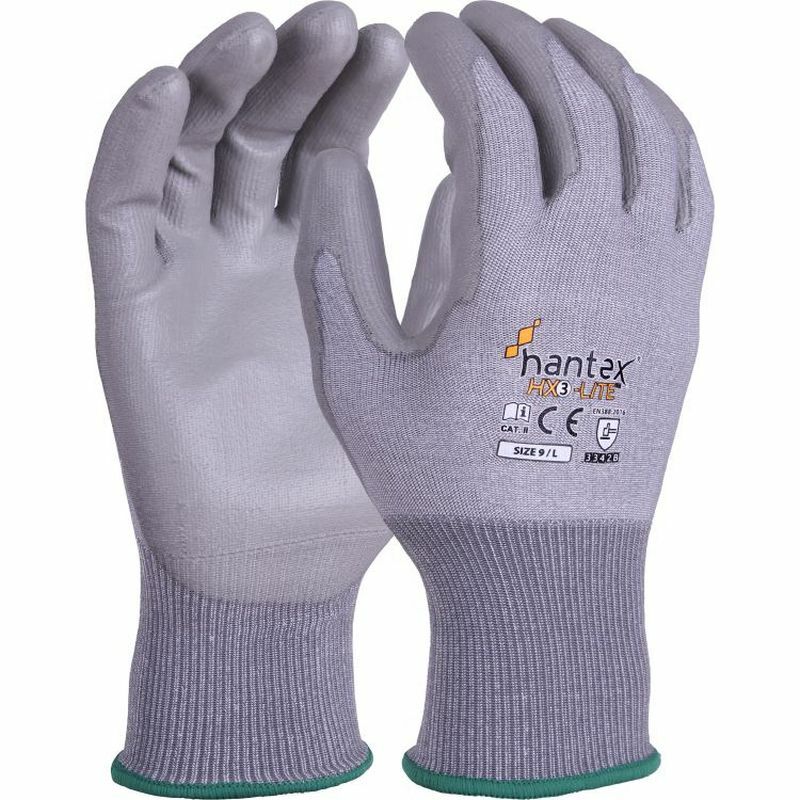 The Hantex PU Palm-Coated Gloves are best suited to tasks that require a light pair of gloves that manage to retain a good level of mechanical resistance. They are lined with ultra thin 18 gauge cut-resistant fibres that allow for a high level of protection, while retaining the level of flexibility that is required for handling materials. This makes them a superb pair of gloves for handling rough and abrasive items such as those found in warehousing, maintenance and construction. The extremely soft cut-resistant fibres coupled with the lightweight design and flexible fit, make the Hantex Lite Gloves some of the most comfortable cut level 3 gloves that money can buy. Perfect for extended use across many industries, these gloves help to boost morale while on the work site. The Hantex Lightweight Gloves HX3-Lite are available in four sizes that should be suitable for most users. To find your perfect pair, please measure the circumference and length of your palm and match the results to the table below.